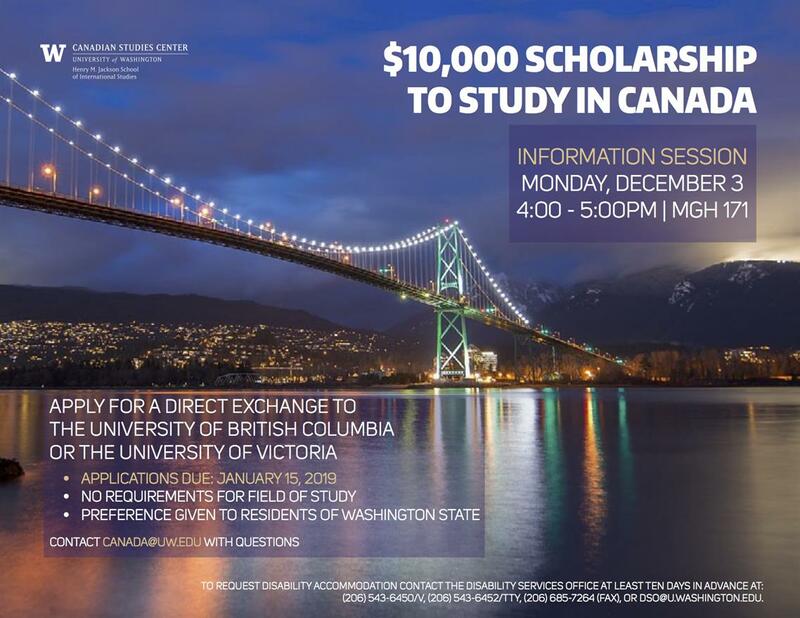 Monday, Dec 3, 2018, 4 – 5 p.m.
UW Study Abroad and the Canadian Studies Center will be hosting an information session about the Corbett Scholarship, which awards up to $10,000 to residents who started and finished high school in the state of Washington to study for a semester or a year in Canada. Open to all undergraduate majors. Must have an interest in some aspect of US/Canada relations. For more information, email canada@uw.edu. Applications for this award are due January 15th.